We started Paleovalley to make improving your health and nourishing your body with nutrient-rich superfoods simple and hassle-free. 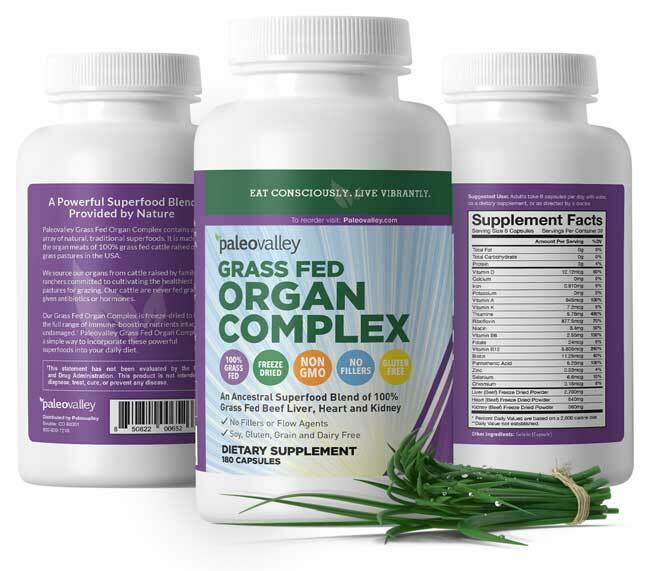 Right now we're offering up to 30% off our best-selling Grass Fed Organ Complex. 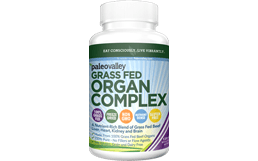 Right now we're offering up to 30% off our best-selling Grass Fed Organ Complex. 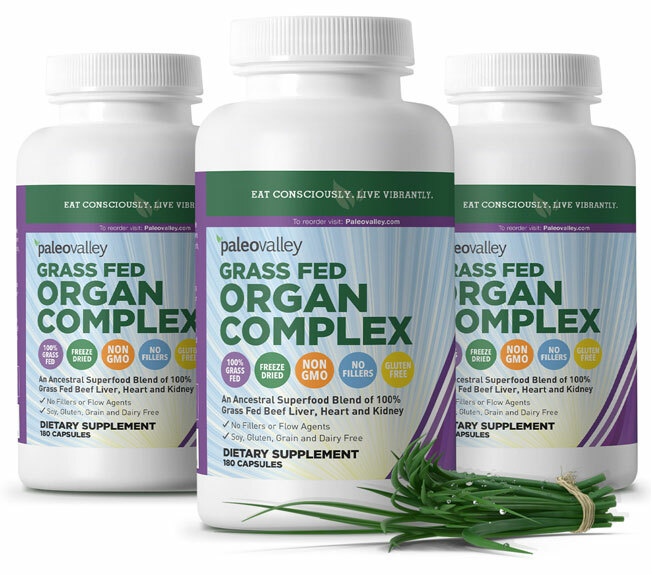 We created Paleovalley Grass Fed Organ Complex to make getting a full spectrum of traditional superfoods, loaded with nutrients, into your body faster, easier, and without having to tolerate the taste (or cooking for that matter). 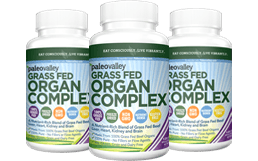 Our Grass Fed Organ Complex contains not one but three organs from healthy, grass fed, pasture-raised cows so you are getting a more diverse array of nutrients. Most other similar products only contain one (usually liver) and it is spray dried at high temperatures. The ideal way to maintain the fragile nutrients and enzymes found in organ meats is to eat them raw...again, not ideal for most people. So instead, we gently freeze-dry the organs in order to preserve as many of these nutrients as possible. Liver is considered the most nutrient-rich organ of all. 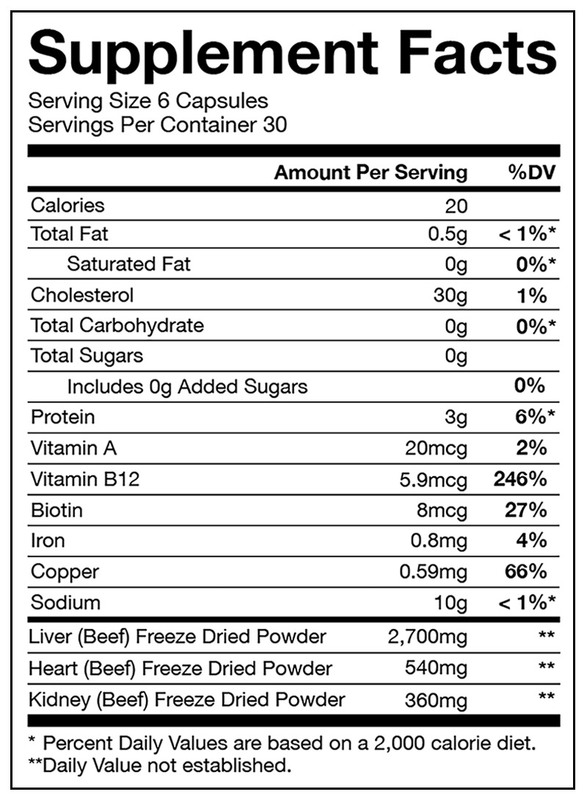 It is an excellent source of vitamins A, B2, B3, B5, B6, B9, and B12 (just 4 oz contains 1108% of the RDA). It also is rich in the minerals iron, phosphorous, zinc, copper and selenium. A concentrated source of CoQ10 - important for cardiovascular health. Abundant in vitamins A, B12, folic acid, iron, selenium, phosphorus and zinc. The #1 food source of copper. Rich in the amino acids glycine and proline which are essential for connective tissue, joint and digestive health. One of the best known food sources of selenium which helps support immunity, blood flow, thyroid function, fertility, and has powerful antioxidant properties. An excellent source of vitamins A, B2, B3, B5, B6, B9, B12 (518% the RDI) and minerals such as phosphorous, zinc, iron and copper. It is estimated that 92% of Americans are nutrient-deficient and nearly 50% are deficient in vitamin B12 which can lead to issues like pernicious anemia, vascular disease, stroke, autoimmune conditions, fatigue and dementia. Vitamin B12 is the only vitamin that we can’t get from either plants or sunlight…it is ONLY found in animal products. And the richest source of natural B12 on the planet is grass fed beef liver (1). In fact, severe B12 deficiency used to be fatal until scientists figured out death could be prevented by feeding patients raw liver (2). 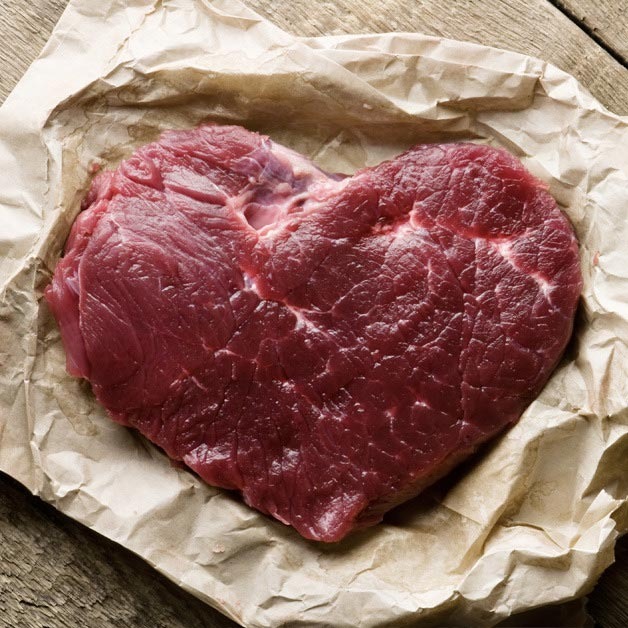 Organ meats such as liver, heart, and kidneys are some of the most nutrient-dense foods in the world. While it may sound strange since our culture has largely neglected these nutrient powerhouses and replaced them with processed junk foods….traditional cultures ALL ate organ meats and the benefits are well documented. The problem is that, if you're like most people, liver and other organ meats taste pretty awful. Yes, you and your family absolutely should be eating these superfoods for optimal health and nutrient intake but they can be difficult to eat due to the taste. 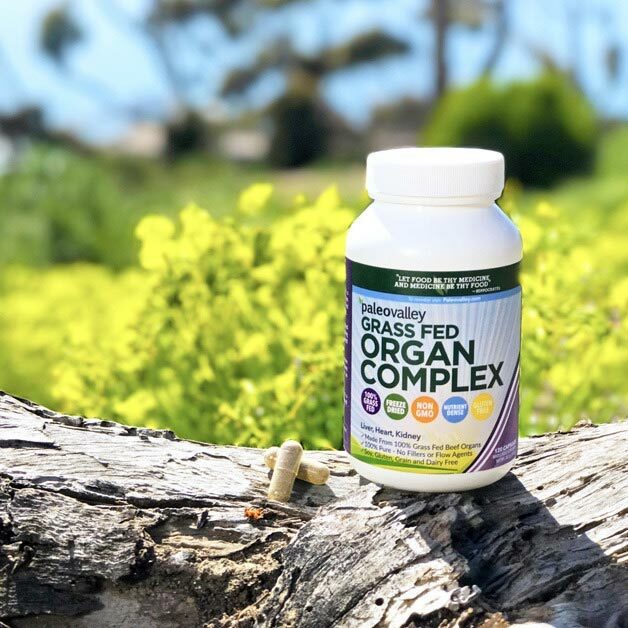 Our Grass Fed Organ Complex contains not one but three organs from healthy, 100% grass fed, pasture-raised cows so you are getting a more diverse array of nutrients. Most other similar products only contain one (usually liver) and it is spray dried at high temperatures. "Just placed an order for 4 more organ meat complexes after really seeing a difference in my energy level after taking half of my first bottle. (I am in nutritional ketosis & have been for about 6 months. That dietary life style plus crossfit plus the organ complex is an awesome combo!) Thanks for making such a great product available." "I have been also taking your organ complex... I have been more vibrant with more energy that's for sure. I eat Paleo in general so I'm sure that helps but I have not been sick in more than two years. Your products do make a difference big time for me and so I thank you." "I just wanted to give you some feedback on these. 1) They have no taste which is totally amazing and makes it so easy to take. 2) They don't talk back to you at all - no burping or after taste at all. 3) I have only been taking about 2 or 3 a day & I feel more energetic. 4) One of the most amazing results is that my mood is soooo much better. I am 50 and thought that my volatile mood was related to menopause onset but since taking these, my mood is so much happier and much less volatile. Thank you so much!" "I have suffered from chronic migraines since I was a kid. Over the decades I've seen dozens of different kinds of doctors, both in Western medicine and Eastern medicine--chiropractic, nutritionist, neurologist, acupuncturist, migraine specialists, eye-doctors, etc. all of this with very little sustained relief. But I recently began taking Paleovalley's Organ Complex and after just a couple of weeks I noticed about a 30% decrease in frequency and severity. Because of the Organ Complex, not only do I now have more energy, but I also have less pain." I highly recommend the Organ Complex from Paleovalley. Since taking 4 to 6 capsules a day for about two months my hair has grown like crazy. It's the longest it's ever been! I have fine and thin hair that has always refused to grow past the middle of my shoulder blades without breaking apart. It's about an inch and a half longer than its ever been! I would have never guessed that could happen at the age of 35. Thanks PaleoValley!! "I've been taking the Organ Complex for a few weeks now, as well as adding the Greens to my morning smoothie. I've noticed increased energy, for sure -- which is much needed." Given the incredible, well-studied health benefits of grass fed organ meats, plus the fact that we gently freeze dry them, our Grass Fed Organ Complex has already been embraced by health professionals and enthusiasts alike. What if this product isn't for me? We don't want you to order anything that you aren't 100% happy with. 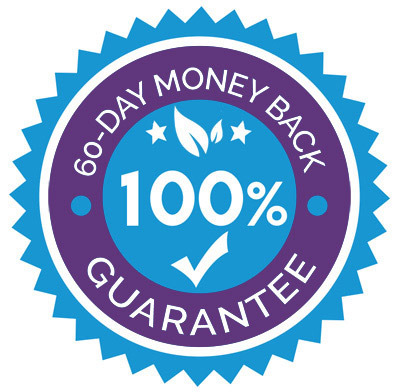 Therefore, we have a 60 Day 100% money-back guarantee so if you aren't thrilled with your order just let us know and we'll refund you without any questions asked. We are proud to have incredibly loyal customers who love our products and we're confident you will too. No matter what you are covered by our 100% money back guarantee if you aren't completely satisfied with any of our products. Each bottle is a 30 day supply and we recommend taking advantage of our bulk discount pricing so you can save more today. If you have not been eating a nutrient-rich diet up until now we suggest considering taking more than the suggested 4 capsule dose in order to get more nutrients in your body faster. Also, when you order 3 bottles or more you will receive FREE shipping and handling. 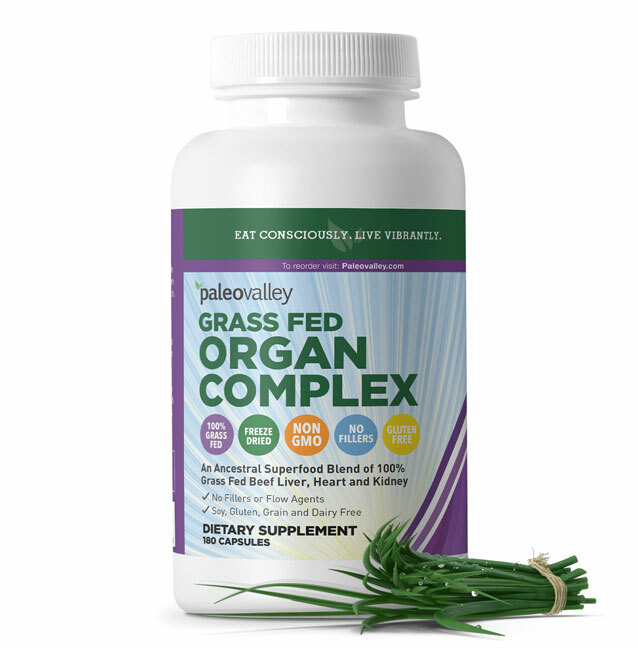 What are the ingredients used in Grass Fed Organ Complex? Yes, on orders of 3 bottles or more you will receive 100% FREE shipping and handling. Your order will be shipped within one business day. Most orders take 2-3 days on average to arrive once shipped. Do you use any flow agents such as rice flour or magnesium stearate? No absolutely not. We do not add any flow agents or fillers to our products whatsoever. You get the highest quality ingredients handled with the utmost care...nothing else. I don't like the taste of organ meats...do these have any flavor? No, there is no flavor whatsoever. That's the main reason we created our Grass Fed Organ Complex. As much as we wanted to love the taste of these nutrient-dense organ meats such as liver, we just couldn't get past the taste. Not only is there no flavor but there are no burps or reflux either. Simply take 4 capsules in the morning with water. Easy as that! We suggest the morning time because the influx of nutrients (especially the wide spectrum of B vitamins) will give you an energy boost throughout the day. What makes Grass Fed Organ Complex better than other similar products? First off, we haven't found any other similar products. There are several "desiccated liver" products on the market but ours is different for three main reasons. 1. Grass Fed Organ Complex contains a wider array of organ meats while others consist of only liver. Each organ contains its own unique benefits and nutritional profile. Since consuming organ meats is so rare in our culture today we wanted to add a broad spectrum. 2. 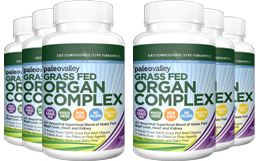 Grass Fed Organ Complex is made with 100% grass fed and grass finished organs from pasture-raised animals in the United States. Others either do not specify which usually means they are not 100% grass fed or they source their organs from countries with low quality standards. 3. Grass Fed Organ Complex is gently freeze dried while most other products are processed at very high temperatures which can denature proteins and destroy nutrients. Freeze drying, on the other hand, preserves virtually all of the nutrients found in the organs. Why don't all companies use freeze drying? Because it is much more expensive than other methods... simple as that. We do not cut corners. Keep in mind, we personally use our products also and want the most nutrient-rich, nondenatured ingredients possible for ourselves and our families. Is this a one-time purchase or an autoship purchase? This is simply a one-time purchase with the OPTION of subscribing for further cost savings. What if the product doesn't work for me? While Grass Fed Organ Complex doesn't make any claims that you will be superman or wonder woman overnight, it was created to "work". This is a product that contains real, whole food ingredients. It contains the same nutrients, vitamins, and proteins found in raw organ meats. That being said, we don't want you to order anything that you aren't 100% happy with. Therefore, we have a 60 Day 100% money-back guarantee so if you aren't thrilled with your order just let us know and we'll refund you without any questions asked. Over 99% of our customers love our products so we're confident that you will too. No matter what you are covered by our 100% money back guarantee if you aren't completely satisfied with any of our products. Paleovalley wants you to be beyond satisfied with your experience with us so we have made returning or exchanging products easy. You can purchase with confidence because you are backed by our 60 day money back guarantee. Simply return the empty and unused portion of your Paleovalley product order within 60 days of your billing date for a full refund of the product price. Contact our support team at support [at] paleovalley.com for a Return Merchandise Number (RMA). Send your empty or unused product to our return address of: Paleovalley, 1665 Main St., Rudolph, WI 54475. Your return must be received within 60 days from your billing. All charges are fully refundable (less shipping and handling fees) 60 days from the billing date. Our ultimate goal is to provide the highest quality, nutrient-dense products AND an equally stellar customer experience. future orders of our 100% Grass Fed Organ Complex! You're in Control with online tools - it's easy to manage the order frequency, delivery schedule, and quantity. The Subscribe & Save Program is all about pure convenience and big savings! 1) Why sign up for the Subscribe And Save Program? Your first order will ship immediately and the subsequent orders will be set to your chosen frequency, tailored to your routine. No need to stress over trying to find the best deal on your Paleovalley products. You will always lock into the best pricing available at the time your order is shipped. You enjoy additional savings on every order while saving time with our convenient program. You always have complete control over your deliveries and will receive pre-shipment emails before we place your scheduled orders. You can change your delivery frequency and quantity in the 'My Account' account section of our site. Changes to orders can be made anytime within 24 hours of the next scheduled shipment date. You can easily cancel at any time online with just the click of a button. 2) How do I sign up for Paleovalley Subscribe And Save? Signing up for Paleovalley Subscribe And Save is simple. Just select the Subscribe And Save option on the item detail pages of your favorite products and the frequency you want to have products delivered. Then check out as you normally would. You will receive a separate email showing any Paleovalley Subscribe And Save items and their delivery schedules. 4) Will I receive any notification before shipment? 5) What price will I receive on my items at the time Subscribe And Save ships? You will always receive Paleovalley’s lowest price on items that are part of your Subscribe And Save shipment. Various promotions and sales (email specials, Facebook promos, one-time sales, etc.) are excluded from the Subscribe And Save program. However, most promos will be applicable to your first order and then your following Subscribe And Save orders will continue at our regular lowest price. 6) How do I access Subscribe And Save items? As a registered Paleovalley customer, simply login to your account. On your My Account page you will see all of your Subscribe And Save products and orders. On this page you can update billing information, shipping information, change quantities/variations, change duration, and change the schedule of your orders. You have complete control in your “My Account” tab. 7) How do I cancel? You can cancel Paleovalley Subscribe And Save orders or individual items at any time. To cancel an order, go to the My Account tab at the top of the member’s area and click the "Edit Next Order" link underneath the Subscribe And Save order, then click "Cancel Item" to remove the item from the order. You will need to confirm the cancellation by simply completing the confirmation form. 8) How do I combine items to be in the same order? Paleovalley Subscribe And Save items that have the same order date, shipping address, billing address and payment method will ship as one order. If you have more than one Paleovalley Subscribe And Save item and want them to ship in the same order, simply go to the My Accounts tab in Paleovalley member’s area and change the next order dates to be the same. Also, confirm the orders are going to the same shipping and billing addresses. 9) Can I add items for future deployment to an existing subscription? At this time, you cannot add an item to Subscribe And Save without placing an order. When you place an online order for the item(s) you wish to add, it must be included in the Subscribe And Save program. Because you're purchasing the item(s) now, the order will ship immediately. 10) How do I change how often an item is sent? You can change how frequently an item is sent in the My Account section by updating the Delivery Frequency in the pull down menu for each item. 11) How do I view my future deliveries? You can view your future orders in the My Account section online. Your very next scheduled order will be showing when you go to the page. 12) How do I change the email address for order reminder emails? You can change the email address for order reminder emails in the My Account section on our site. 13) How do I change my shipping address? You can change your shipping address for all Paleovalley Subscribe And Save orders. To change the shipping address for an order, go to the My Account section and click "Edit Next Order" inside your Subscribe & Save order. You will see the shipping address for that individual item. Click "Edit Shipping Address" and enter the new shipping address. 14) How do I change my billing address? You can change your billing address for Paleovalley Subscribe And Save orders or individual items. To change the billing address, go to the My Account tab and click the Edit Icon next to "Billing Address" to enter your new billing address. 15) When do items ship for delivery? Any items scheduled for delivery will be placed for shipment on the next order date. Once your Paleovalley Subscribe And Save order is placed for shipment it will usually ship within 24 hours. All Paleovalley Subscribe And Save orders ship by USPS Priority Mail and typically arrive within 1-3 days of shipment. You can view and modify the next order date for an individual item in the My Account section. 16) How do I change an order date? You can easily change when your next order is sent if you need it sooner or later than the scheduled shipping date. Simply go to the My Account section of your account. Select the "Edit Next Order" link to change the next order date. 17) How do I skip a delivery? If you need to skip a delivery, go to the My Account section. Click the "Edit Next Order" for your Subscribe & Save order and choose your next order date from the calendar. You won't receive the order until the following order date. 18) Will I be notified of backordered items that are scheduled for delivery? When a product scheduled for delivery becomes backordered or otherwise unavailable on the day it ships, you will be notified via email. 19) What types of payment are accepted for Subscribe And Save? All Subscribe And Save subscription programs require a credit or debit card for payment. Alternative payment forms, such as PayPal and WU Pay, cannot be accepted. 20) How do I change the credit or debit card for my orders? Currently we offer one card for payments, which can be changed by going to "My Account" and click the edit icon next to "Card Details". 21) When will I be charged for orders? Orders will only be billed to the credit card or deducted from the debit card on the day the order is shipped. You can cancel any order up to 24 hours before the next order date.